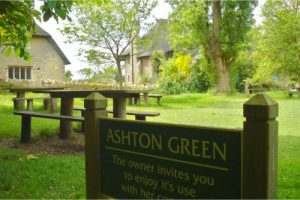 The Ashton Estate is a fascinating work of both man and nature. Created at the turn of the 19th century by a mercantile family, The Estate has an interesting socio-economic history comprising a “model settlement” superimposed on a more ancient village. Whilst the function of many estate buildings has changed, much of the “model settlement” remains physically intact, an unlikely outcome given the dynamics of modern life. The more ancient settlement is represented by a number of Grade II Listed buildings. Several of the “Edwardian” buildings are also Listed. It is believed that the model settlement was the master plan of the fashionable Victorian architect, William Huckvale. Construction of estate cottages was a particular interest of Huckvale and the many “Edwardian” cottages are believed to be examples of Huckvales work. The Ashton Estate is one of the few remaining “Model Farms” that exists in a form that might be recognisable to its Victorian/Edwardian creators: much of the fabric is intact. The model settlement is of interest to the economic historian as well as to admirers of period buildings and of traditional English countryside. Some of the land on the Ashton Estate is undulating and by virtue of its elevated position enjoys interesting views. Ashton is renowned for its beautiful and ecologically important woodland. Persons renting property on the CDL Sector of Ashton Estate have full access to some (but not all) areas of the Estate. No members of the Rothschild family reside on the Ashton Estate: thus, whilst the Estate lacks the focal point of a family occupied “big house” there is an egalitarian feel to the community. The Estate enjoys a variety of properties, from a five bedroom listed Manor House to two bedroom cottages – but there is, in our view, no pronounced social hierarchy! On the contrary, enjoyment of village and countryside seem to bind people into a neighbourly enclave! a) Access to the public is not permitted, and is by written invitation only. b) The private road between West Lodge and East Lodge is not to be used as a through road and is only to be used by residents of Ashton Wold. Use of this private road (whether on foot, on bicycles, on horse or vehicle or on an agricultural vehicle) is strictly forbidden. Trespassing as the word implies is forbidden. c) Persons entering without written notice will be charge a fee of £1,000(one thousand pounds) per 24 hour day or any part of a 24 hour day plus all reasonable fees, costs and expenses including all legal fees. Interest on all sums due and payable shall be at a rate of 8% p.a (eight per cent per annum). d) As is typical of many Country Estates, there are many and varied hazards including lakes, rivers, roads, wood, abandoned buildings etc. The insurance costs of a situation where unauthorized persons are accessing the Estate are significant. e) Thus access is by written invitation only, a term that includes invitation by fax and Email PDF and signed by OHL Limited Director, Dr Charles Lane. f) The only exceptions in terms of access is of course in terms of Public Rights of Way. You may view available properties on our Rental Properties page. The Morgans Close Nursing Home – a significant 48 bed facility – is also situated in PolebrookVillage. Neither OHL Limited nor its affiliates are involved in operating the home ( which we understand has been awarded 4 Rosettes by the relevant authority). However OHL Limited are indirectly involved in the physical aspects of the home. The Morgans Close Home is a registered nursing home, not merely a residential home, and serves the public and private sectors. Shepherd Huts are a familiar sight at Ashton. These mobile huts are both affordable and extremely useful. The solid wooden frame, cast iron wheels, solid steel axles and formed corrugated roof are true to the original design adding an extra amenity. Approximate price: £90 per month plus VAT Internal measurements: Width 1.80m (5ft 11in) Length 3.53m (11ft 6in) Height 2.16m (7ft). 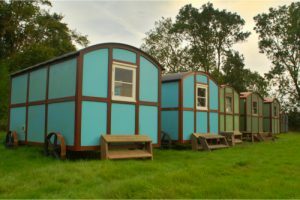 The Shepherds Hut Company website is well worth a visit www.shepherd-hut.co.uk. The Ashton lakes, included in the area covered by the Right to Roam license, are two very beautiful but nonetheless artificial constructs. The lakes were part of the Victorian / Edwardian Utopia planned, it is thought, by William Huckvale (the fashionable Victorian architect and creator of the turn of the Century buildings at Ashton). In the heyday of the Estate, the gardens around the main house connected seamlessly with the picturesque lakes, via a manicured set of pathways. Matters, and the absence of circa 40 gardeners and helpers, have evolved a little since this era! The lakes are now an area of natural, wild habitat replete with wildflowers, rare plants, and the remnants of an earlier order. The artificial nature of the lakes – they have man-made water imperviant linings – has given rise to many problems. During World War II, it is said that the lakes were accidently bombed, during a training exercise. The result was that the upper lake, in particular, tended to drain away. This problem has only partially been remedied. Nonetheless, the lakes are a beautiful and romantic setting – especially in autumn and winter when the nearby woodland is less dense. The lakes in summer are shown in the picture gallery. 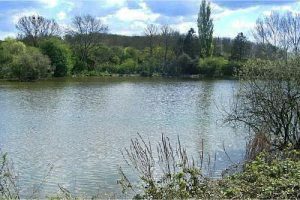 Although on the lower lake there is a boathouse and a central island, as present there are no boating facilities. Additional restoration work is required to bring to life this amenity. The Cricket Ground – Now home to the Estate Office, OHL Limited. It is a truth universally acknowledged that a gentleman in possession of a good fortune is in need… of a cricket ground! Charles Rothschild was just such a gentleman, and indeed the family excelled at ball games. Victor, as a schoolboy, played for Northamptonshire – and scored a few runs (33?) off the bodyline bowling of Larwood. Victor’s prowess was in part due to the holiday “nets” organised by his elder sister Miriam, a talented skier, rider, squash, billiards, tennis, and cricket player. The Hon Miriam is said to have played in the England ladies side under the name of “Robinson”. The Hon Miriam took great pleasure in beating Oxford blues at squash, possibly her strongest sport. The Ashton Cricket ground has born witness to village matches evocative of Julie Christie and Alan Bates in “the go between”. 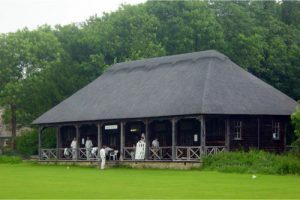 The Cricket pavilion is an exquisite example of Edwardian Craftsmanship. The pavilion has recently been re-thatched, rewired and is now in pretty good shape.